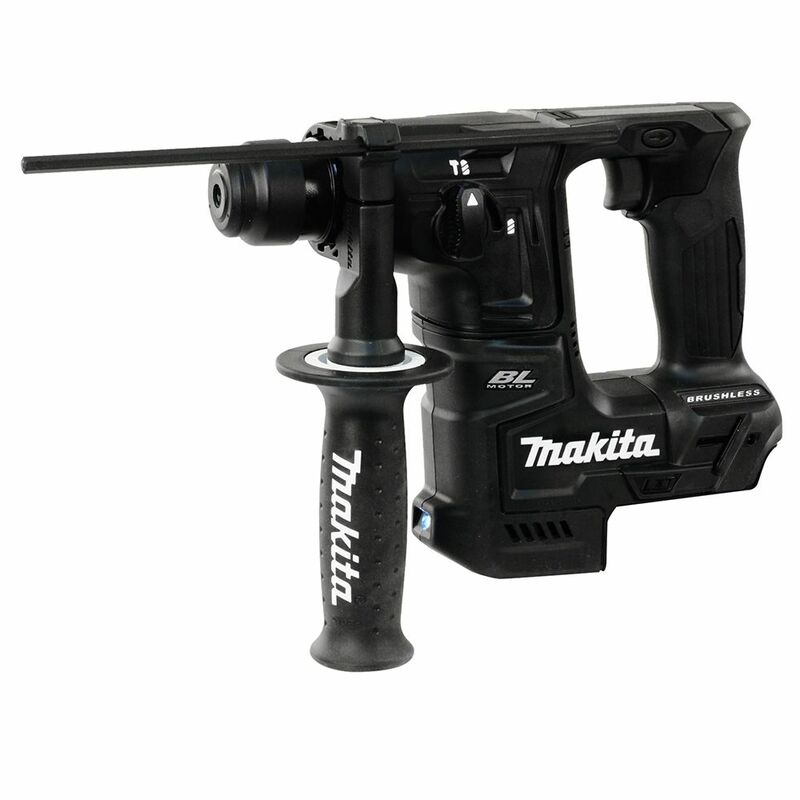 Sub-compact size and weight ideal for fast and fatigue free drilling of holes in concrete and masonry, Ideal for overhead anchor / installation applications. Rubber joint construction suppresses transmission of vibration to battery, minimizing battery failures due to terminal breakage or poor electrical contact. Brushless FEIN PowerDrive motor with 30% greater efficiency and longer service life. QuickIN accessory interface for all QuickIN accessories and fast changes between applications. 2-speed solid metal gearbox with switchable impact mechanism for drilling in metal, stone and masonry. Includes QuickIN solid metal drill chuck (120 Nm) with carbide jaws and high clamping force. 750 screw connections (5x40 mm) with one battery charge (2.5Ah). 5/8 inch Sub-Compact Cordless Rotary Hammer with Brushless Motor Sub-compact size and weight ideal for fast and fatigue free drilling of holes in concrete and masonry, Ideal for overhead anchor / installation applications. Rubber joint construction suppresses transmission of vibration to battery, minimizing battery failures due to terminal breakage or poor electrical contact.